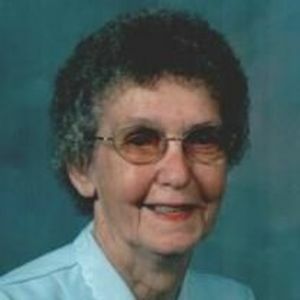 Olin- Ester M. Waddell, 86, went home to be with the Lord on July 24, 2017. Born April 3, 1931 In Iredell County, she was the daughter to the late Charlie and Maggie Money. She was a loving and caring mother, Mammaw and great-Mammaw. She loved word seek, cooking, working in her flowers and garden and enjoy sitting down watching her favorite shows. In addition to her parents she is preceded in death by husbands, Marvin Queen and Garnis Waddell and sons, Ray and Randy Queen. Left to cherish her loving memory is her children, Judy (Steve) Holcomb, Bobby Queen, and Kay (Dean) Galliher; eight grandchildren, and 15 great-grandchildren. A celebration of life service will be held on Thursday, July 27, 2017 at 11am at Bunch-Johnson Funeral Home with Rev. David Childress Officiating. Burial will follow at Mt. Vernon Baptist Church in Olin. The family will receive friends from 10-11am at the funeral home prior to the service. In lieu of flowers memorials may be made to The Heart Foundation along with a completed donation form to 31822 Village Center Road, Suite 208, Westlake Village, CA 9136. Bunch-Johnson Funeral Home is honored to be serving the Waddell Family.